Makeshift newspaper umbrellas cover the heads of a percipient crowd along Toronto’s King Street West. Heavy would be a euphemism for the unscripted downpour that’s soaking Atlantic Avenue, home to Canadian fashion house Joe Fresh, where beneath the retail factory’s red brick walls the pitter-patter of the outside world sounds more like a classical symphony. 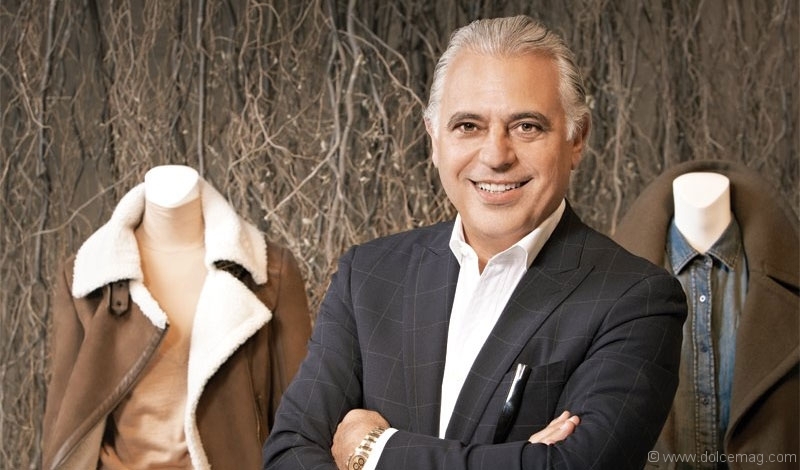 On the type of day where everyone is excused for looking a little less than best, Joe Mimran strides into the showroom evaporating the entire notion. Not a salt or pepper strand out of place, Mimran appears to live his life under the soft glow of a Floridian sun rather than the harsh glare of fluorescent lights. His navy suit fits like a cashmere-lined leather glove, and his feet look just as comfortable in his signature velvet Church’s slippers. In an industry where image is everything, Mimran gets a standing ovation. The conversation moves to a sleek long table in his contemporary glass office, where all the planks in the runway start to form a story. It’s there, glancing out into the expansive factory workspace reminiscent of a dressed-up New York newsroom, that one wonders how this silver fox pulled such a lucrative rabbit out of his hat. With more than 300 locations across Canada, Mimran’s semi-eponymous Joe Fresh label debuted under Loblaw Companies Limited in 2006 as its private apparel line that would bring affordable fashion to the masses. 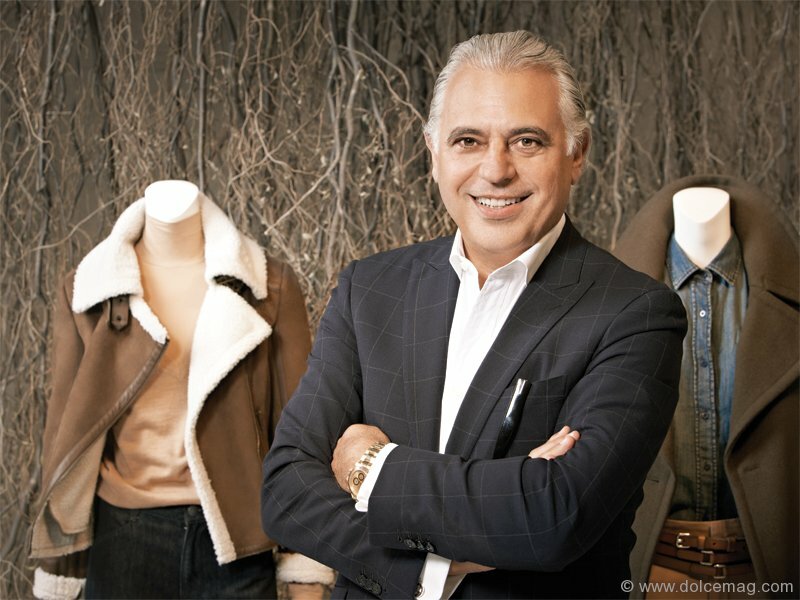 Similar concepts had brushed the ears of consumers in the past, but this time the promise of more-for-less was being made by a man who co-founded upscale minimalist brand Club Monaco, which he sold to Polo Ralph Lauren Corp. in 1999. Needless to say, Mimran’s name was literally on the line. Collection after collection, he proved that classic cuts with trendy touches don’t have to empty clutches – not to mention the convenience of paying for peas and a peacoat in one swipe. “Joe is a strong visionary with an incredible talent for thinking outside the box,” says his designer wife, Kimberley Newport-Mimran of the Pink Tartan brand. In an effort to further relay his message to the masses, Mimran put his unisex collections on the catwalk: an atypical business move that turned out to be one of his brightest. “There was nobody really doing runway at that price point here in Canada and to me it was important because it showed that we’re very credible in terms of fashion, that we wanted it to come from a very real place,” says Mimran. Today, his shows are at the crescendo of Toronto’s LG Fashion Week, featuring top models like Crystal Renn and Tiiu Kuik and consistently garnering crowds with front-row fashion editors from New York and London. A few years after the inception of Joe Fresh, Loblaw’s announced that its in-house clothing line was on track to becoming a billion-dollar brand. The fiscal forecast foreshadowed the line’s next logical steps: stand-alone stores in Toronto and Quebec, and the precarious decision to test its selling power under a star-spangled banner. “The United States is sort of a graveyard for Canadian retailers, and so it’s always been a difficult decision to make,” says Moroccan-born Mimran, adding that the stigma of failure worries him far less than the thought of not trying. “There’s a limit to how much more we can grow in the market and I think to have reached the amount of penetration that we have over such a short period of time, we would be doing ourselves a disservice in not trying to take it internationally.” Joe Fresh kicked off its American crawl with permanent stores in New York and New Jersey this fall, including a fixture on Fifth Avenue. Busy expanding the runway of his apparel empire, Mimran manages to find time for golf, scrabble, and even sleep. “Kim says I sleep too well. She says a bomb could go off and it’s just incredible,” says the 59-year-old. He also finds time to collect contemporary art, but at 13-by-9 feet, his most recent Julian Schnabel piece is too big for his Toronto home. Perhaps it will soon follow Joe Fresh with a move to the U.S. “That’s what happens when you start to collect, you become a little bit obsessed, a little bit like slippers,” he says, looking down at his feet. It’s a rare moment to see Mimran without his chin up – it’s just not his style.